GRANDMA GOT RUN OVER BY A REINDEER is a wild, wacky and heartwarming holiday escapade loosely based on the all-time classic hit song that has become a phenomenon. When his beloved Grandma is mowed down by Santa’s reindeer and goes missing on Christmas Eve, young Jake Spankenheimer goes on the misadventure of a lifetime. To the disbelief of his doting parents, rebellious sister and goofy Grandpa, Jake sets out to prove that Santa is real, find his Grandma (with the help of a clever elf named Quincy), and save the family store from his conniving and greedy Cousin Mel. As his escapades unfold, Jake uncovers the mystery of the world’s most famous case of “hit and run,” defending the existence of Santa Claus in an ingenious display of astounding courtroom theatrics. 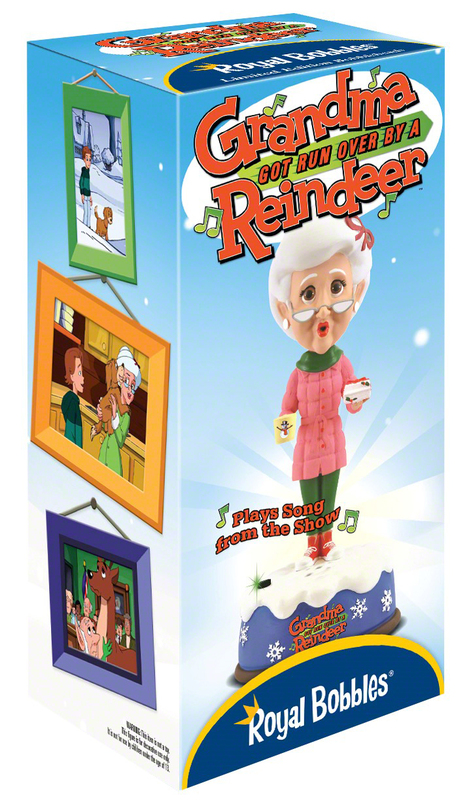 The show’s timeless content captures the essence of the basic concept and characters of the all-time favorite “Grandma Got Run Over by a Reindeer” Song. This is one hilarious high-flying adventure that will bring joy to the world and laughs for the entire family.